Bring the tactical laser tag experience to your location with these great mobile package options. Kombat Tag is a perfect solution for birthday parties, small office parties, family reunions, or bachelor parties. These packages are a battlefield experience for small groups of less than 15 players. includes up to 10 laser tag weapons. Variety pack of weapon types. Ages 10 years and up. Kombat Tag provides indoor/outdoor laser tag for your youth group, sports team, school group, fair/festival, or any other large venue. The Group Packages provides Live Play battles for large groups of 20 or more players. includes 20 small & medium aggers only. includes 20 mixed laser tag weapons. includes 30 mixed laser tag weapons. Please plan to allow approximately 2 hours for your Kombat event. Necessary set up time is included the final price. 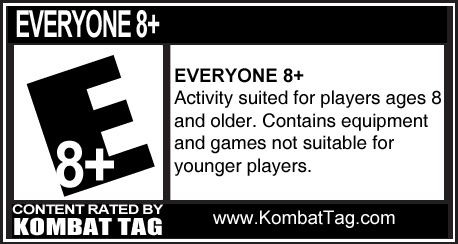 *We strongly recommend a minimum age of 8 years. Minors must have parent/guardian consent prior to play. We reserve the right to deny any player due to safety concerns.